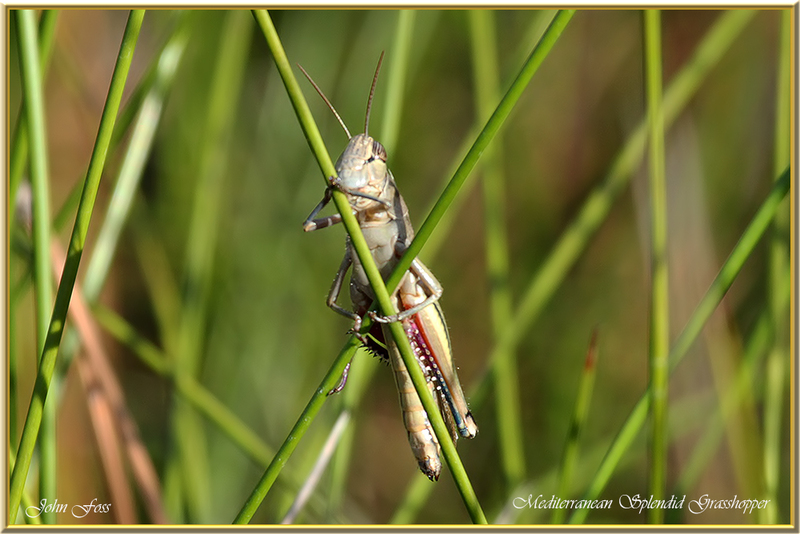 Mediterranean Splendid Grasshopper - An endangered grasshopper due to the disappearance of dunes where this grasshopper is found. It feeds on the herbs and grasses there. 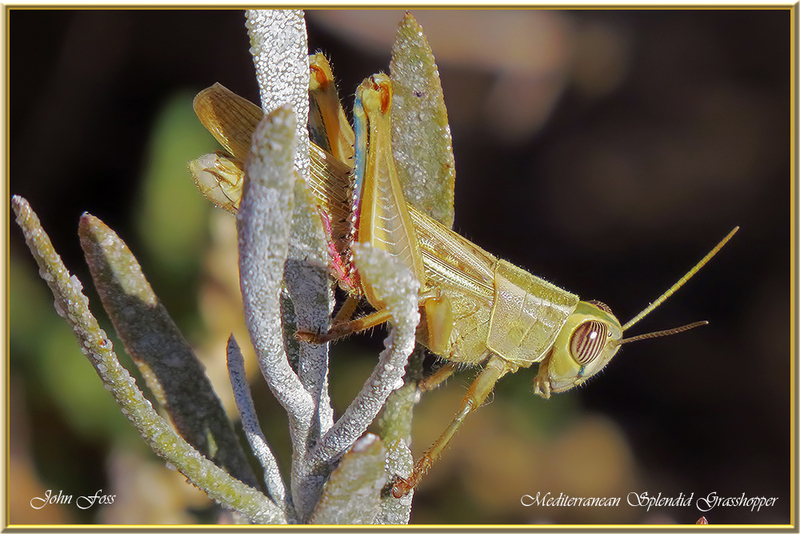 This handsome grasshopper was photographed in the Algarve region of Portugal in October. It is also found in North Africa. A splendid name for a splendid creature.